AXIA CHARTERED SURVEYORS™ is a property consultancy firm that was established in Cyprus in 2012. The company is registered at the Cyprus Ministry of Commerce under the name T.Dimopoulos & Associates Property Valuers L.L.C. The company operates throughout Cyprus and has offices in both Nicosia and Larnaca and through our associates, in other EU countries. We specialise in property valuations and provide a wide range of other professional property related services such as: development appraisals, property management, planning & development advice, market research and investment consultancy. Our company has established a large and diverse customer base that varies from the public sector, financial institutions, retail chains and private individuals. Through the professional services that we have provided to these clients, AXIA has established its reputation both locally and internationally. Our vision is to become the real estate adviser of your choice. We simply do not wish to be the biggest, just the best. Our values capture our commitment not only to ethical, professional and responsible conduct but also to provide the optimum value-embracing approach. 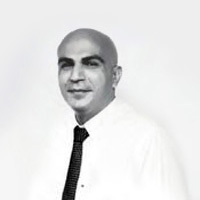 Trifonas is co-founder, Associate Director of AXIA CHARTERED SURVEYORS and Head of Larnaca Office. He holds a BSc in Finance, Accounting and Banking from University of Piraeus and another BSc in Real Estate Valuation and Development from Neapolis University. He is also member of Cyprus Technical Chamber as Property Valuer and a Licenced Estate Agent. Prior AXIA he was Director of a family owned real estate business in Larnaca. 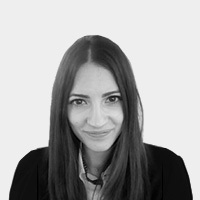 Tereza is member of Cyprus Technical Chamber and a graduate of Cyprus University of Technology, Department of Civil Engineering and Geoinformatics. She is currently writing her thesis for an MSc in Real Estate at Neapolis University. She started working at AXIA in 2016. 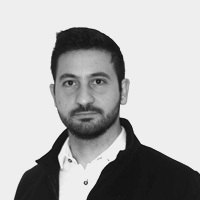 Stefanos holds a BSc from the Cyprus University of Technology as a Surveying Engineer and is currently writing his thesis for an MSc in Real Estate at Neapolis University. He is a member of ETEK and he has work experience as a Cartographer and GIS specialist. 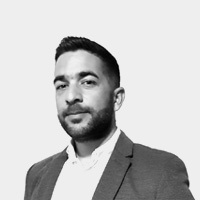 Stefanos started to work at AXIA in 2017 as a property consultant. Niki holds an M.Eng. in Rural and Surveying Engineering from the National Technical University of Athens and is currently completing an MSc in Real Estate at Neapolis University. 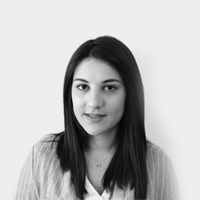 She is a member of the Cyprus Technical Chamber (ETEK). Niki joined AXIA at the beginning of 2018. 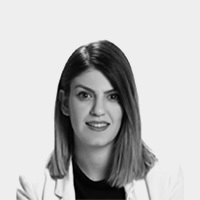 Alexandra holds a BA(Hons) in Architecture from Oxford Brookes University and a Diploma in Architecture from Neapolis University. She is currently completing an MSc in Real Estate at Neapolis University. 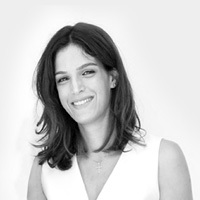 She has worked for architectural firms in both the UK and Cyprus and within the property development industry. Alexandra joined Axia in 2018. Efthymios joined Axia in 2018. He holds a Bachelor's Degree in Land Surveying and Geomatics from the Department of Civil Engineering and Geomatics at the Cyprus University of Technology. He is currently writing his thesis for an MSc in Real Estate at Neapolis University. Prior to joining Axia, Efthymios completed a one-year internship at the Department of Land and Surveys as a land surveyor. He is a member of ETEK in Rural & Surveying Engineering. Angela recently earned a master’s degree in Human Resource Management from the University of Manchester. She holds a BSc in Business Administration from the University of Cyprus. Angela started to work as an administrative officer at AXIA in 2018. 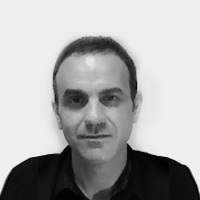 Dr. Nikolaos Bakas is a Civil Engineer, Director of Noesys and Lecturer at Neapolis University. His studies comprise the Diploma of Civil Engineer NTUA (2003), the postgraduate Diploma in Structural Analysis and Design of Structures (2005) and the PhD degree in Engineering of National Technical University of Athens (2011). He has participated in a variety of research projects, at the National Technical University of Athens, in engineering software companies in Greece and at the Neapolis University, on applications of computational mechanics, finite elements, artificial neural networks, optimization algorithms, design regulations and development of computer codes. 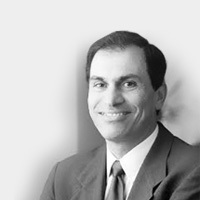 Petros Sivitanides holds a Ph.D. from Massachusetts Institute of Technology in Real Estate Economics and a Master in City Planning from Georgia Institute of Technology in the United States. He has many years of research experience in some of the leading real estate advisory companies in the United States and the United Kingdom, such as CBRE Global Investors in Los Angeles, CBRE Econometric Advisors in Boston, and AXA Real Estate in London. He has also published many articles in popular international journals in Real Estate. His research and publications have focused on real estate pricing, the intertemporal behavior of the office market, capitalization rates for commercial real estate, and the measurement of property and portfolio risk. He is also the director of Real Estate programmes at Neapolis University. Tassos is located in Athens, Greece. He holds an M.Eng. in Rural & Surveying Engineering and a PhD on Mass Appraisals from NTUA. Since 1997 he is a member of the educational personnel of NTUA, mainly interested in terms of research in Valuation, Geomatics & Land Management, with more than 60 papers & publications. He is a certified adults’ trainer having also lectured in University of Patras & Neapolis University Pafos and many professional seminars. 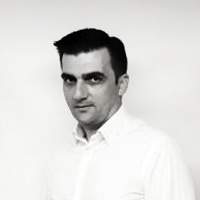 He currently holds the position of the Vice President of the Hellenic Geographic Information Society (HellasGIS), he is a certified valuer (REV) by TEGoVA and a certified UAV pilot. Apart from valuations he has vast experience in surveying, urban planning and GIS. He is a founding member of the Association of Greek Valuers and a member of the Hellenic Valuation Institute, Technical Chamber of Greece, IAAO, FIG and many more. 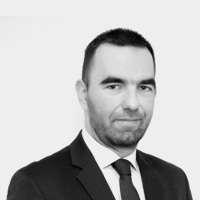 Since January 2019 he is the head of “euperty - integrated property services”, based in Athens. KKAM ESTATES AGENTS is a family run Company with the principle Directors being involved and working in the Cyprus market since 1980. Since then enjoys a solid reputation among the Cypriots and foreign Real Estate investors as one of the most trustful and successful Real Estate Company. Founded in the UK in 1855, Savills is one of the world's leading property agents. Savills experience and expertise spans the globe, with 600 offices across the Americas, Europe, Asia Pacific, Africa and the Middle East. Our scale gives us wide-ranging specialist and local knowledge. Noesys is a combination of the ancient Greek word noesis and system. Noesis stands for cognition, intellect or Intelligence, which through the educational process, is evolving in typical education as well as lifelong learning, through the acquisition of knowledge, skills, and insights. We understand that our most valuable resource is our personnel. We seek to identify and develop the future leaders of our business through a range of inspirational training and leadership programmes, ensuring that AXIA’s strengths and culture continue in the future. Our common set of core values help us to capture our commitment to ethical, professional and responsible conduct, and inspire positive behavior. If you are interested to join our team, you can send us your cv at info@axiavaluers.com.